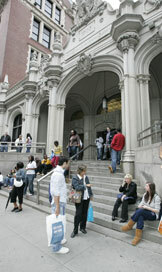 For all inquiries regarding the Registrar's Office call 212-237-8000 or email us at registrar@jjay.cuny.edu. Please allow up to 3 business days for us to review and respond to your inquiry. Questions or comments with respect to the information presented on this webpage should be directed to registrar@jjay.cuny.edu .